Lee Horner is the CEO of Synzi. Lee is responsible for corporate strategy and development at Synzi, with an emphasis on revenue growth, product direction and customer satisfaction. Recognized as an innovator in technology and healthcare, Lee is focused on using technology to advance the timing and quality of care delivery. His career includes over 25 years of enterprise operating experience, with a proven track record in creating and operating successful organizations that develop new technologies designed to transform the healthcare IT industry. Prior to launching Synzi, Lee was the President of Stratus Video Telehealth and successfully launched several innovative telehealth solutions into the marketplace. 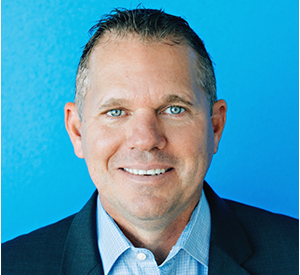 His management experience also includes his serving as President of CareCloud software, a leader in the EHR marketplace, and Senior Vice President of Sage Healthcare. Under his leadership at Sage, Lee led the organization to triple digit growth and the sale of the company to Vista Private Equity.